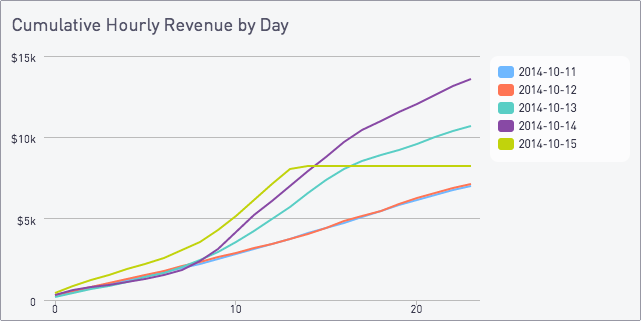 For many businesses, understanding revenue per hour is as important as revenue per day. 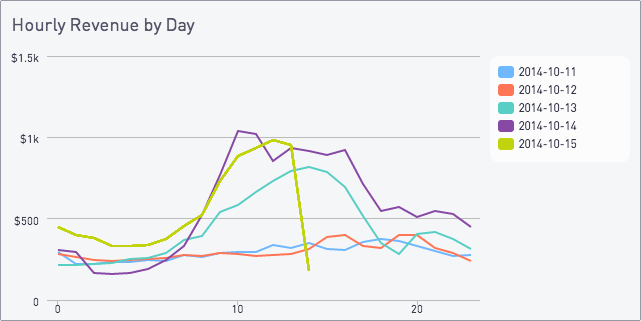 It changes throughout the day with the number of people engaging with the product. 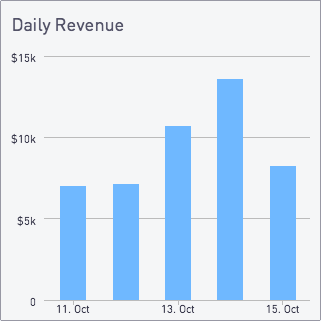 By overlaying each day as it’s own line, we can easily see which hours get the most revenue and how each day compares the the last. 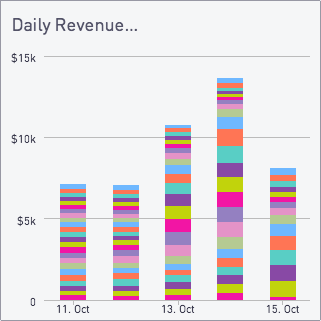 And unlike a simple daily revenue bar chart, it’s easy to understand the current day’s progress before the day is over. The same method for building the hourly charts works for other intervals too! Track daily trends by month or monthly trends by year, or any interval that makes sense for your business!